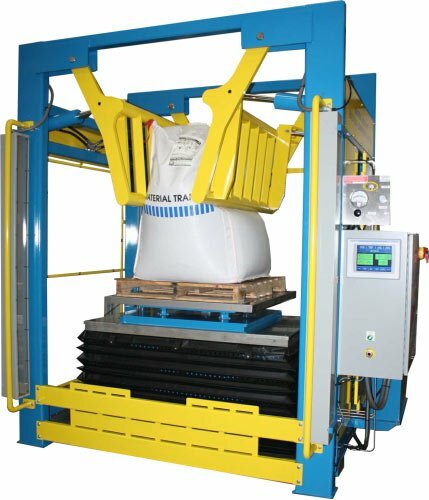 Powered rotary lift table with 48” of travel and 6,000# capacity allows complete conditioning of a wide range of bag sizes. NEMA 4 electrical control panel with Micrologix PLC and Panelview Plus Compact 1000 touch screen. Enclosure includes purge unit to comply with Class I, Division II, Group D hazardous location standards.